Bill Ward has been all over the news in recent weeks as the on-going will he won't he be behind the kit for Black Sabbath's reunion debacle drags on. For us, Bill simply has to be there as his worth to the Sabbath cause is absolutely massive. Don't believe us? Check out some of these awesome Ward moments. A stone-cold classic if ever we heard one, and of course it's powered by Bill Ward. Go see any classic rock cover band this weekend and you'll probably hear this, but we doubt you'll find anyone in the world who will nail it quite like the Sabs can. Speaking of cover versions, this one has been tackled by all kinds of bands over the years, but you'll struggle to beat this one. 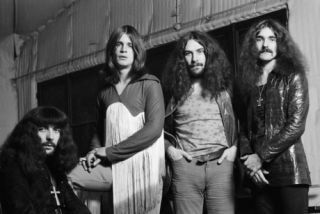 Live in Paris way back in 1970 this is Bill and Sabbath in their prime. And here's the proof that decades on Bill and the boys can still cut it. This live clip from 2005 finds Ward in thunderous form belting out a bowel shuddering Iron Man. He may be the master of the wading-through-treacle groove, but Bill has also been known to blast out a solo or two, as you can see here at the end of a typically electrifying Dirty Women. We know and love Mr Ward for his work with Sabbath, but he's also put out a couple of cracking solo records. The first of which includes this unexpectedly laid back tune featuring Cream's Jack Bruce.